In 1988, Don Norman published his classic book “The Design of Everyday Things” which popularized the concept of user-centered design. Norman later earned the first ever User Experience Architect job title at Apple in 1995. Apple’s focus on delivering a great user experience with the iPhone revolutionized the idea of designing for the user. I started my career in UX Design in 2005 before the launch of the iPhone — back then, it was a struggle to explain my role to my peers, much less my parents. Through the early years of growing with a not-yet-realized but much needed role within product companies, I watched as a deeper, more nuanced view of user-centered design developed to what it is today. Differentiation in roles such as user research, information architecture, user interface vs. user experience designer, and visual designer are all the product of the UX field having matured in Silicon Valley in the decade since. The success of user-focused experiences such as the iPhone have paved the way for the field of user experience design to grow quickly in Silicon Valley, with a 250% growth in UX Designer jobs within a year of the iPhone launch, and over 3,000% growth to date. Through the influence of user-centered technology from Silicon Valley, companies around the world are refocusing their products towards users. User experience design in Mexico is now living in the 2008 of Silicon Valley. However, Mexico has a leg up due to the saturation of graphic design talent that has evolved from a rich artistic history from influencers such as architect Luis Barragan to (my favorite) artist and sculptor Sergio Bustamante to filmmaker Guillermo del Toro. What’s lacking are the proper resources and education to teach the modern designers to think user-first when designing digital experiences, and that beautiful doesn’t equate to usable or delightful. Having grown and led UX teams in Mexico since 2010, my best UX designers began as talented graphic designers and learned to employ user-centered practices over years of tenure. 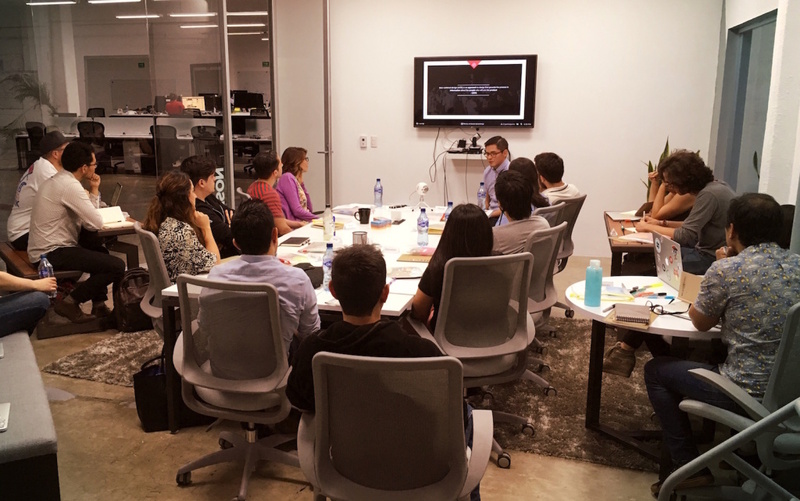 Determined to kick start the maturation of the UX skillset in Mexico, we have introduced Wizeline UX Academy, an initiative to develop UX designers via an education with the thorough foundation and application of core user-centered design principles. Wizeline UX Academy is led by our talented UX design team, which includes half a team of designers with Bachelors and Masters degrees in Cognitive Science, Human Computer Interaction and Human Factors. Through our academic experiences, we believe that the psychological, cognitive, and behavioral principles of design are the key to designing a better experience for creating UX designers. With this pedagogic approach, we hope to fuel the maturation of the UX skillset in Guadalajara, and replicate Silicon Valley’s product design growth. Posted by Wendy on Friday, July 29, 2016.